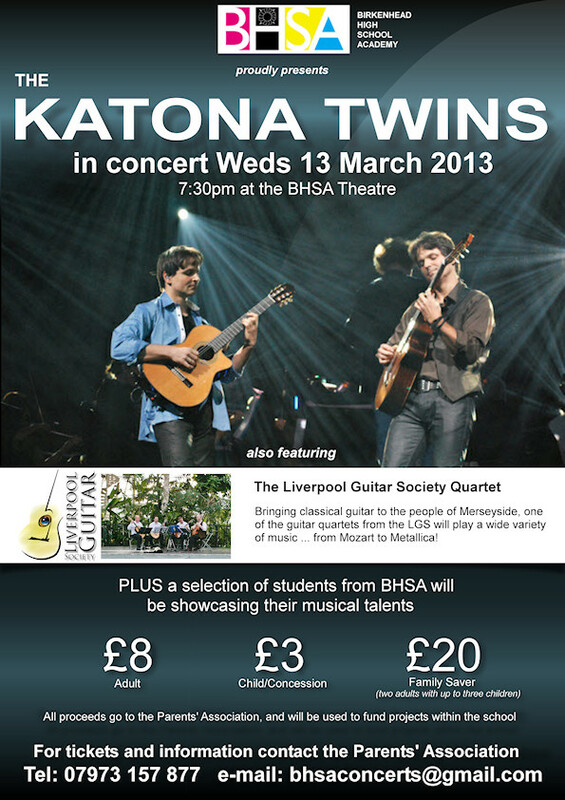 A quartet from Liverpool Guitar Society will provide the support act to a rare Birkenhead performance by the Society’s patrons, the amazing Katona Twins. LGS will play pieces by Andrew York, Faure, Brouwer, Metallica and Bizet. The concert, which is a charity performance to raise funds for Birkenhead High School Academy, takes place at the school’s theatre on Wednesday 13th March at 7:30pm. Tickets are £8 (£3 concessions). 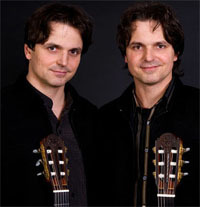 The Katona twins are going to play pieces by Boccerini, Albéniz, Bizet, de Falla and one of Peter’s own compositions! This promotional poster can also be downloaded here.